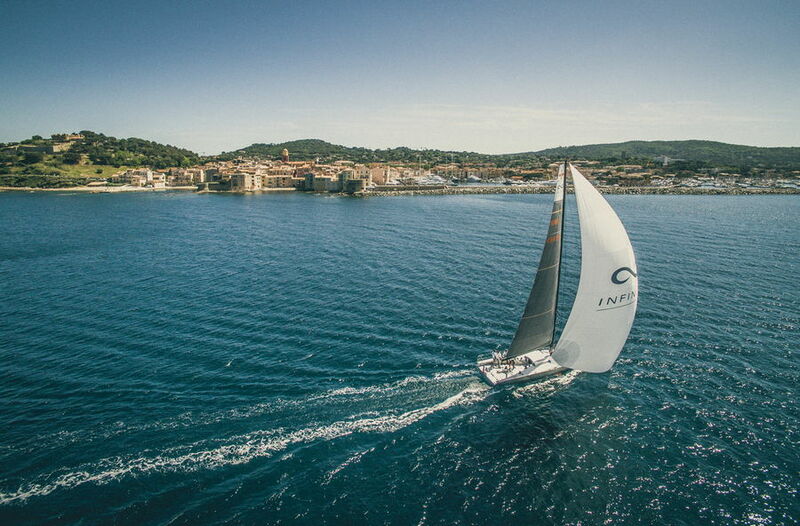 In perfect conditions off the idyllic St. Tropez coast, the first Infiniti 46 has successfully completed her preliminary sea trials. The trials included structural tests and running the main systems, including the canting keel, canard, the unique steering system and DSS foils. Additionally the initial mast tune and calibration was carried out, and some of the sail wardrobe tested. So far all tests have been passed with flying colours as the Infiniti 46 matches or exceeds expectations in every respect. Next week the team will be joined by Stuart Bannatyne from Doyle Sails, New Zealand for further optimisation and testing, in conjunction with some of the race crew and representatives from Infiniti Yachts.